The Cobra Cat features a traditional shape with a classic surf outline. The thruster fin configuration and drawn-in tail give the board the speed of a cobra and the agility of a cat, hence the name. 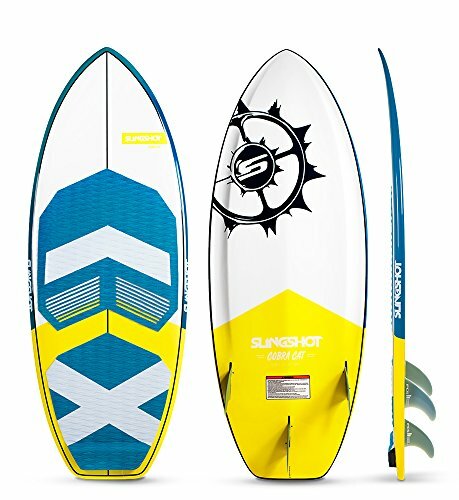 This board is designed for tight turns and aggressive surf style riding. The fin configuration provides the option of running it with a single, twin or thruster setup, and the tool-less FCS II system makes removing, installing and swapping-out fins a snap, literally. The belly of the Cobra Cat features a V-spine and double concave, which helps the board transition from rail to rail as well as an exaggerated concave rail throughout the length of the board to give surfers more grip as they press into the face of the wave.